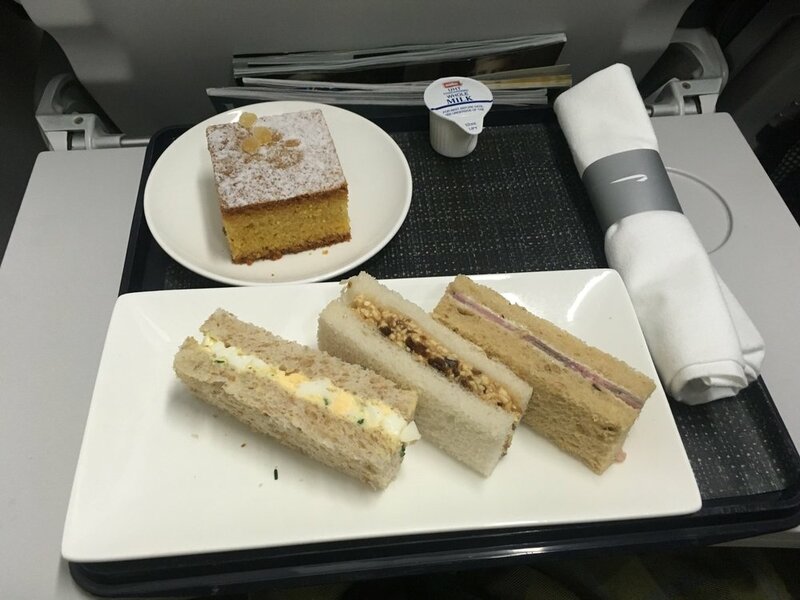 This article was originally intended to review a trip between Europe and North America, via London Heathrow, on British Airways, in First Class. Various issues, including a British Airways female employee claiming victimization based on an "intimidating stare", ultimately leading not only in a boarding denial, but in getting banned from flying British Airways altogether from Germany, resulted in a delay of several days in reaching our destination, as well as a downgrade from First Class to Club World (Business Class) on the transatlantic flight segment. Pending legal action against British Airways for denial of boarding and discrimination based on gender, this article will solely review the actual modified trip between Oslo and the West Coast of North America. The check-in at Oslo Airport was uneventful. 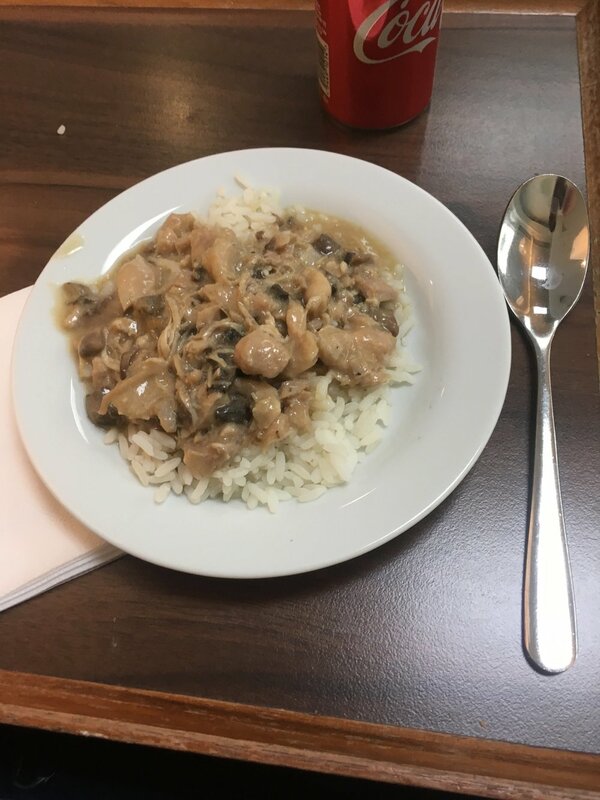 British Airways does not have a business class lounge in Gardermoen, so we used the One World lounge, with very limited amenities and food offerings. 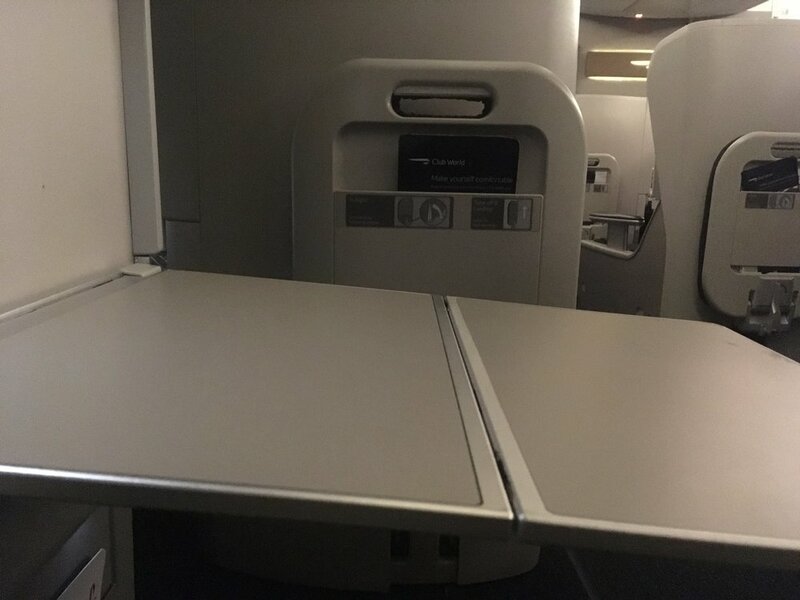 As most would know, Club Europe (Business Class) on British Airways for flights within Europe consists of regular seats with the middle seat being blocked and used as a table. Leg room is therefore limited and no different from Economy Class. While a meal is supposed to be provided in Club Europe, we only received half a sandwich cut in three small pieces, as well as a miniature cake. What British Airways refers to as a "meal" in Club Europe. Arrival in London Heathrow should have been uneventful. But it wasn't. The aircraft parked at a domestic gate at Terminal 5, requiring passengers to be transported by bus to an international gate, which took longer than the flight between Oslo and London. To be noted that I was also threatened with arrest for merely taking a photo of the aircraft prior to boarding a bus. 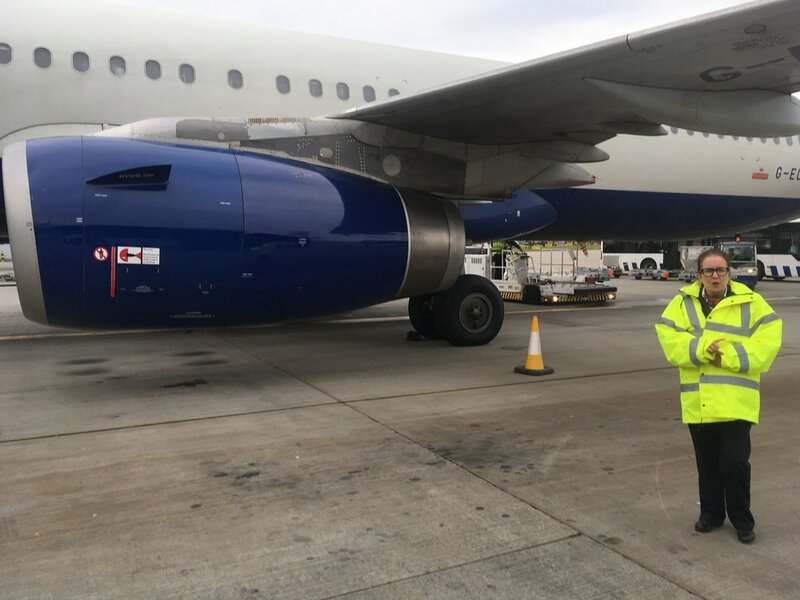 BA aircraft arrived at a domestic gate, requiring bus transportation to an international gate. Upon reaching an international gate, we were held like cattle for 25 minutes and not allowed to continue to the departure terminal for our next flight, as staff was unsure the terminal listed was correct. Eventually, we were cleared to begin our hike to Terminal 3. London Heathrow is not Oslo Gardermoen (one of the nicest airports in the world). 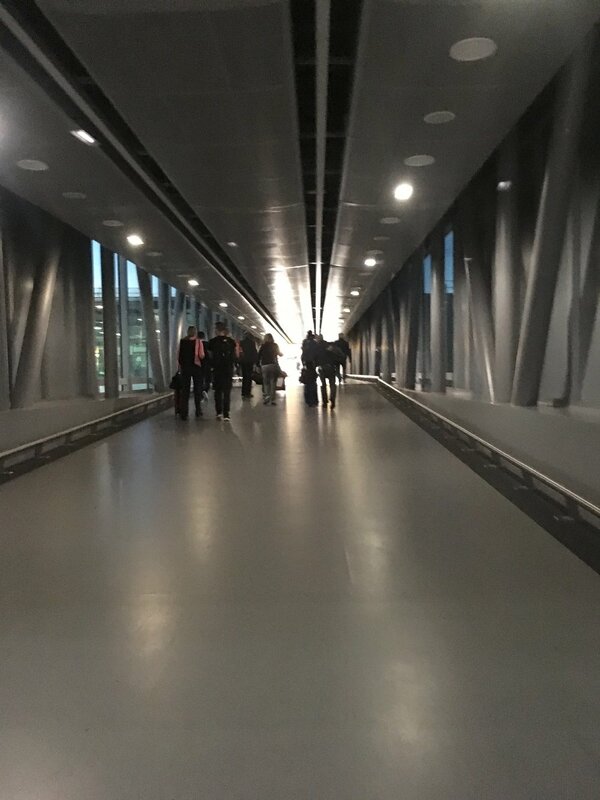 The newest addition, Terminal 5, is poorly designed, but still an upgrade from older sections such as Terminal 3. An endless underground journey, sometimes even without lighting, similar to the never ending tunnels connecting the subway in Paris. 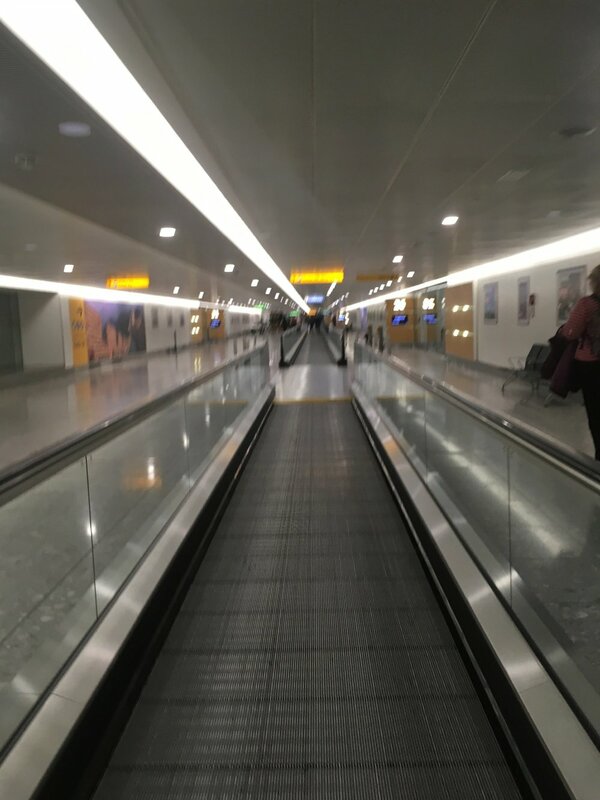 The never-ending underground journey at Heathrow Terminal 3. A journey sometimes in darkness, without proper lighting. At the end of the journey, however, we expected some reprieve at the British Airways First Class lounge. After following a hallway more consistent with what one would expect in a lunatic asylum, or immigration detention center, we finally reached the lounge. 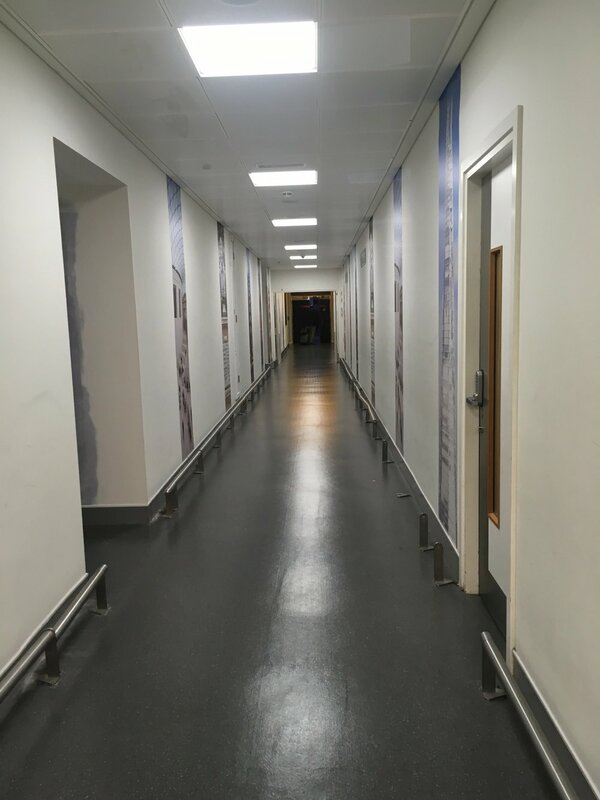 Access to British Airways First Class Lounge at Heathrow Terminal 3. What we reached, however, was not premises consistent with an airline First or even Business Class lounge. Instead, we found ourselves in an overcrowded, filthy room, without a single chair that wasn't completely worn out and soiled. Not a single staff member was white, nor spoke English legibly. Showers were dirty, with most functions outside of the basic shower head being out of order. Food choices were despicable, even to British standards, having the appearance and consistency or vomit. We eventually left the lounge and went instead to the Admirals Club (American Airlines) down the hallway. 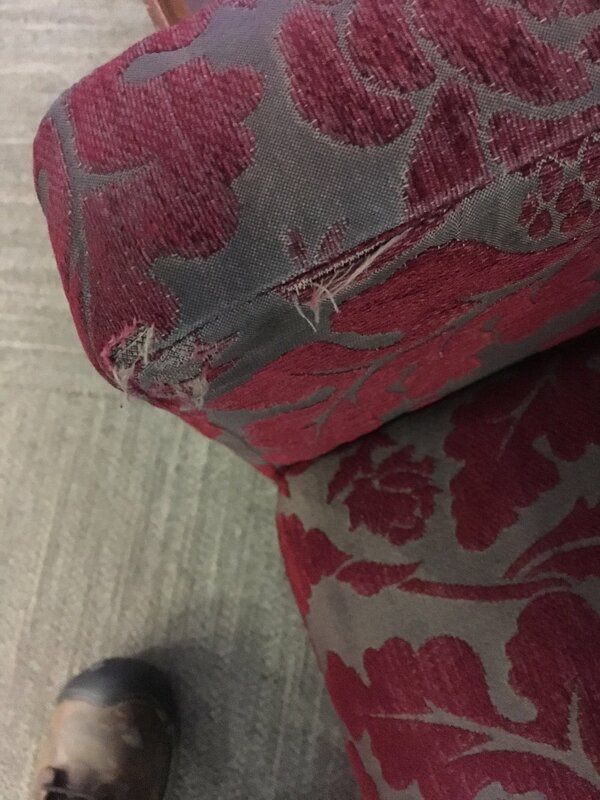 A typical chair at the British Airways First Class Lounge at Heathrow Terminal 3. Food at British Airways First Class Lounge at Heathrow Terminal 3. Boarding was delayed due to a late crew arrival. The result was utter chaos, with ground staff struggling to board several hundred passengers in a short period of time, on a flight that was already delayed. This is also when we learned, at the last minute, that some of us, including myself, had been downgraded from First Class to Club World (Business Class). Upon reaching the Club World cabin, I found out that my seat was filthy and stained. I asked for another seat and was instructed to wait until after boarding. By the time the aircraft had been boarded, a group of women had decided to take over various other seats, leaving me few choices. I certainly didn't dare complaining in fear of being removed from the aircraft. 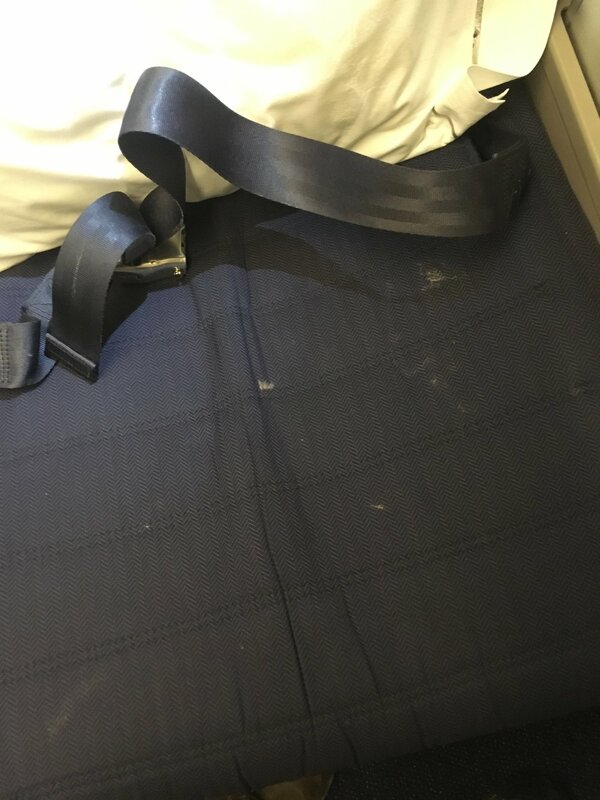 Filthy Club World seat on British Airways. 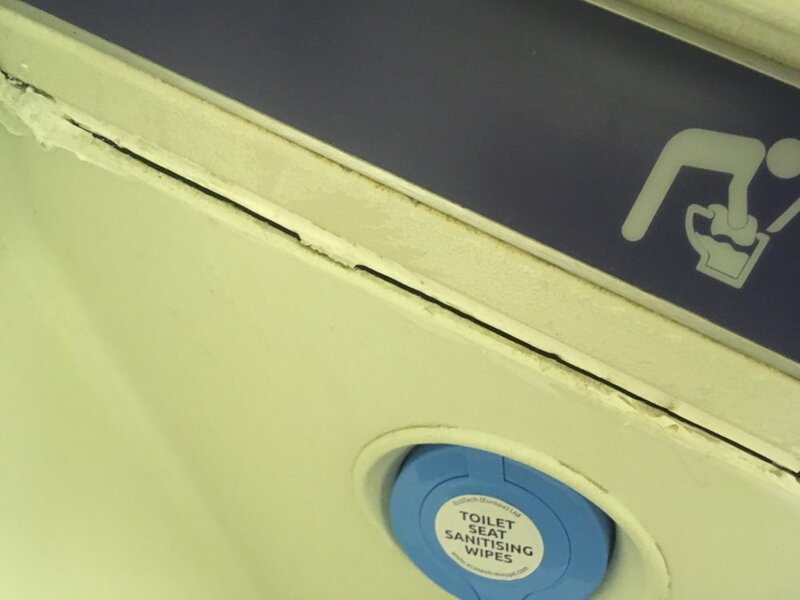 The alternate seat offered to me may have been somewhat cleaner, but it was defective. Not reclining properly, and with a tray that was broken and therefore couldn't hold a food tray without being held in place by my knee. 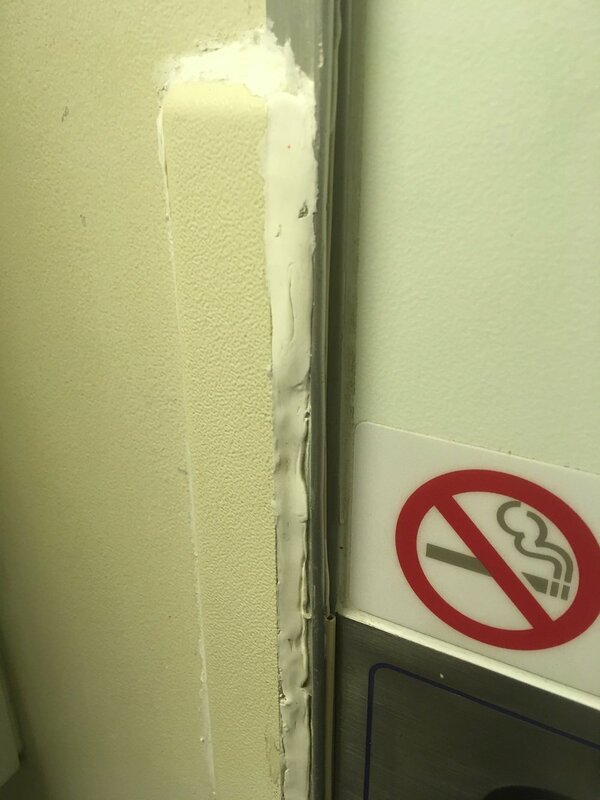 Needless to say, this led to disaster throughout the flight, with meals and drinks flying all over the aisle at the first sign of turbulence. Broken tray in Club World. Food quality was poor. Actually much worse than food in Economy Class on Air France. Because British Airways apparently ran out of food, I was told I would not be served any cheese. 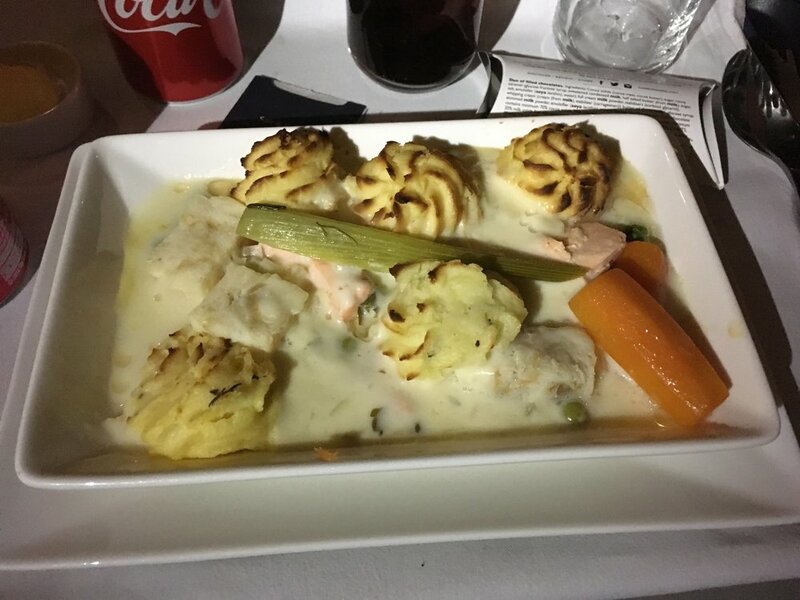 At this point, I am still unsure as the type of meat (or maybe was it fish) that was served to me as main course. 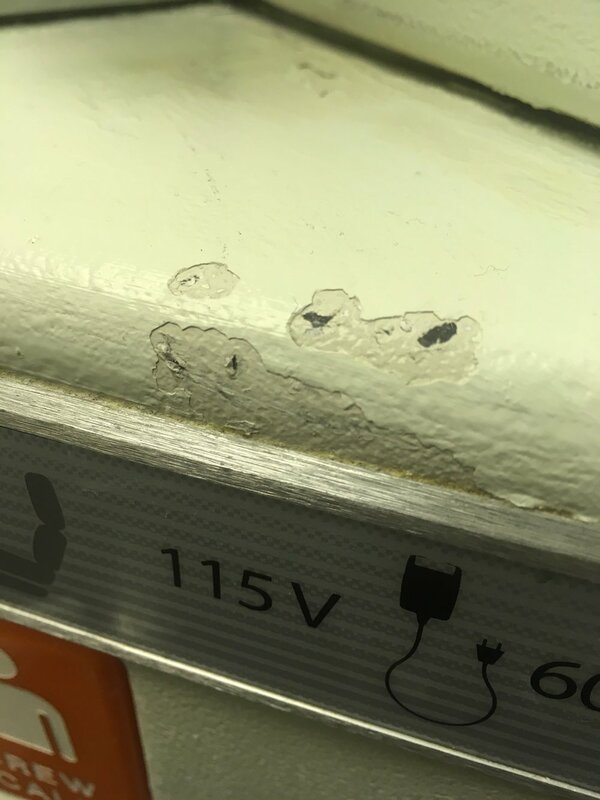 The stained original seat, malfunctioning replacement seat, broken tray, were consistent with the rest of the aircraft, a Boeing 747, that was completely dilapidated. Many parts of the cabin and lavatories were falling apart, or broken, and half-fixed without following industry standards. Needless to say, the 9h40 flight between London Heathrow and the West Coast of North America didn't go fast. The entertainment screens were of such poor quality that it was nearly impossible to even make out any details of any of the limited movies offered (lots of black content as British Airways decided that black people weren't sufficiently represented in entertainment, even publishing an article about this revolting situation in their in-flight magazine). Sleeping was impossible due to the seat being broken and therefore not turning into a flat bed. The only entertainment as a result involved food and drink flying across the aisle on various occasions due to the broken tray, and passengers and crew having to navigate aisles and seats covered with drinks, food, and broken glass. Overall, this trip on British Airways was utterly miserable, even when not considering the delay of several days, or the downgrade from First to Business. Experiences on African carriers or even Pakistani Airlines have at times been more pleasant. Actually, flights on Space A were less miserable. Ultimately, the degradation of the British Airways travel offering over the course of only a few years was astonishing. British Airways has fallen to the level of bankrupt African carriers. A sign of times, and a good representation of the sorry state of affairs in the United Kingdom.